It's important for kids this age to be watched for signs that they're using their voices to relate to their environment. Cooing and babbling are early stages of speech development. As babies get older (often around 9 months), they begin to string sounds together, incorporate the different tones of speech, and say words like "mama" and "dada" (without really understanding what those words mean). 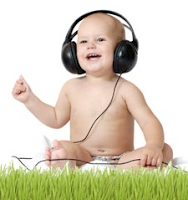 Before 12 months, children should also be attentive to sound. Babies who watch intently but don't react to sound may be showing signs of hearing loss. Kids this age should have a wide range of speech sounds in their babbling and at least one or more true words (not including "mama" and "dada"). Nouns usually come first, like "baby" and "ball." Your child should also be able to understand and follow single directions ("Please give me the toy," for example). Kids should have a vocabulary of about 20 words by 18 months and 50 or more partial words by the time they turn 2. By age 2, kids should be learning to combine two words, such as "baby crying" or "Daddy big." A 2-year-old should also be able to follow two-step commands (such as "Please pick up the toy and bring me your cup"). Parents often witness an "explosion" in their child's speech. Your toddler's vocabulary should increase (to too many words to count) and he or she should routinely combine three or more words into sentences. Comprehension also should increase — by 3 years of age, a child should begin to understand what it means to "put it on the table" or "put it under the bed." Your child also should begin to identify colors and comprehend descriptive concepts (big versus little, for example). If you're concerned about your child's speech and language development, there are some things to watch for. An infant who isn't responding to sound or who isn't vocalizing is of particular concern. -is more difficult to understand than expected for his or her age. Parents and regular caregivers should understand about half of a child's speech at 2 years and about three quarters at 3 years. By 4 years old, a child should be mostly understood, even by people who don't know the child. Reading to your child is a great way to boost speech skills. Books help a child add words to her vocabulary, make sense of grammar, and link meanings to pictures. Ordinary conversation with your 2-year-old helps in similar ways. Mealtimes and bedtime provide nice opportunities to sit and chat in the course of a busy day. Researchers have found that the more words a child hears, the greater her vocabulary will be. Read to your child, starting as early as 6 months. You don't have to finish a whole book, but look for age-appropriate soft or board books or picture books that encourage kids to look while you name the pictures. Try starting with a classic book such as Pat the Bunny, in which the child imitates the patting motion, or books with textures that kids can touch. Later, let your child point to recognizable pictures and try to name them. 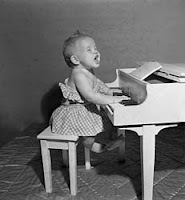 Then move on to nursery rhymes, which have rhythmic appeal. Progress to predictable books, such as Eric Carle's Brown Bear, Brown Bear, in which your child can anticipate what happens. Your little one may even start to memorize favorite stories. Use everyday situations to reinforce your child's speech and language. In other words, talk your way through the day. For example, name foods at the grocery store, explain what you're doing as you cook a meal or clean a room, point out objects around the house, and as you drive, point out sounds you hear. Ask questions and acknowledge your child's responses (even when they're hard to understand). Keep things simple, but never use "baby talk." If by age 2 your child rarely attempts to speak or imitate others, doesn't react when you call her name, or seems uninterested in talking, seek help. If by the end of this year she still says only single words instead of two-to-four-word sentences, uses new words once and then doesn't repeat them frequently, or doesn't ask or respond to simple questions ("What's this?" or "Where's your hat?") then she may also have a speech problem. Read some more on Hubpages.